Thank you for choosing my card! And a big congrats to all the other winners!! Congratulations to the winners and thank you for the HM! 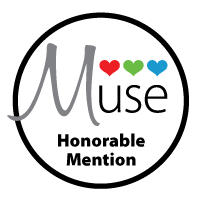 I'm so excited to have my card picked as one of your top 3 Favorite's :-) I voted for Hannelie and Ashwini's beautiful geometric designs too:-) Your Honorable mentions were beautiful too. Hope to play in your new Muse Challenge too. Thanks for hosting! Congrats to you all!! A fabulous gallery this week, ladies!! Congratulations to all the winners and HM - thanks so much for picking my card for an HM - so thrilled! !